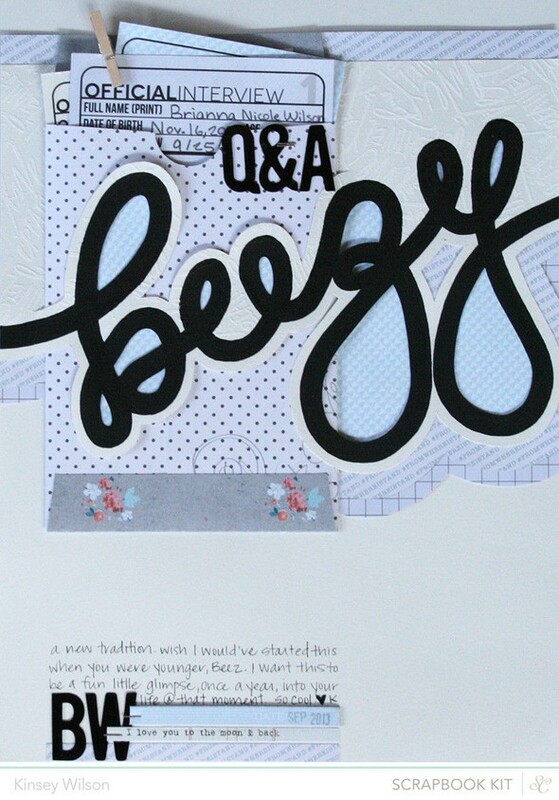 This one started with the loopy script- I used watercolor to write "beezy" across the page and then stamped the background from the top of the script to the top of the cardstock and heat embossed it with white zing. The script wasn't as bold as I wanted it so I went back over it with some acrylic paint. I used my craft knife to make a pocket for the envelope and I also cut the loops out of the script and backed everything with a few different patterned papers. 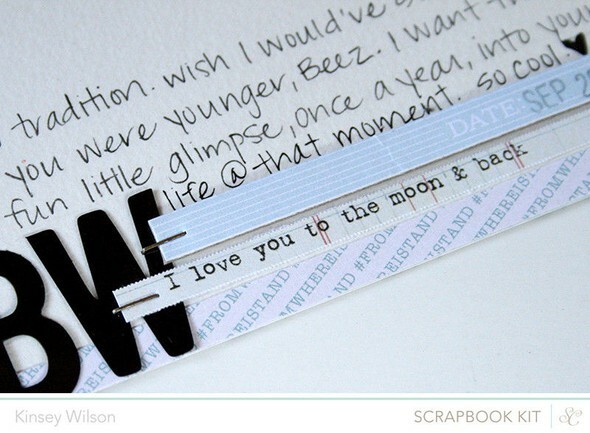 I also changed the color of the green acetate alphabets using staz on. 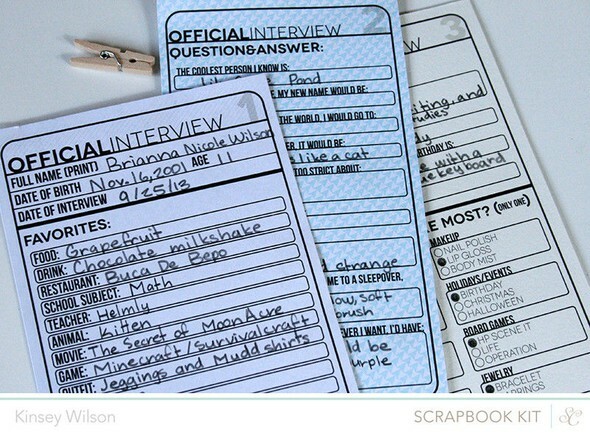 The 3 interview cards I designed are 4x6 and I just printed them out onto patterned papers. Brianna had so much fun filling it out :) TFL!